5 Star Billing is more than just a billing company. We provide a complete business solution to all your billing and practice management needs – and our billing staff works efficiently and effectively to improve your collections and increase your practice, medical center, or hospital’s profitability. Our billing services are designed to meet the needs of every individual client and business. We take the time to understand your requirements and find the best solution. A detailed evaluation of your business and accounts receivables. Expert analysis of your business, including fee analysis, to identify problems and establish the most effective billing and coding procedures for you. CPT coding and reimbursement analysis. Coding for neurology services and neurology procedures. Same day electronic claims submission and certified coders to ensure you receive the maximum reimbursement. Neurology specific billing and EMR software solutions. Our certified coders are experts in the area of neurology billing and aim to provide the highest return on your claims. Our services and software systems can greatly reduce your neurology service expenses. Our services help accelerate payments and take the burden off you. We aim to reduce stress for our neurologists. Our services take the hassle out of billing, freeing up your time to focus on patients. We provide personalized attention and cater to all clinical models, from a large multi-site operation to smaller single provider practices. You and your practice have direct access to your neurology billing software, providing total transparency and the ability to keep an eye on billing and financial related data. Our rigorous security measures and checks make sure that your data and processes are 100% secure for total peace of mind. We are fully compliant with all HIPAA security and privacy guidelines. Your neurologist can save clinical documentation time by having neurology specific EMR and billing software. 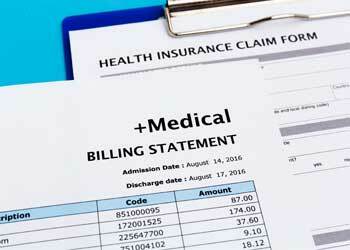 Many practices are enjoying outsourcing to a billing service that has neurology expertise.